No doubt you’ve heard of Moore’s Law. What you might not realize is that Moore’s Law only refers to the exponential price-performance improvements of integrated circuits (over the last 50 years). Did you know that exponential growth has been going on for a much longer period? Or that such growth is occurring in other fields outside of computing, such as communication and genomics? Such exponential growth is actually described by “The Law of Accelerating Returns,” a term coined by my friend and Singularity University Chancellor/Co-founder Ray Kurzweil. This blog aims to explain the difference between Moore’s Law and the Law of Accelerating Returns – an important distinction to understand for the exponentially minded. To get a gut feeling of Moore’s law, let’s look at the physical evolution of the microchip. In 1958, a scientist at Texas Instruments developed the first-ever integrated circuit. 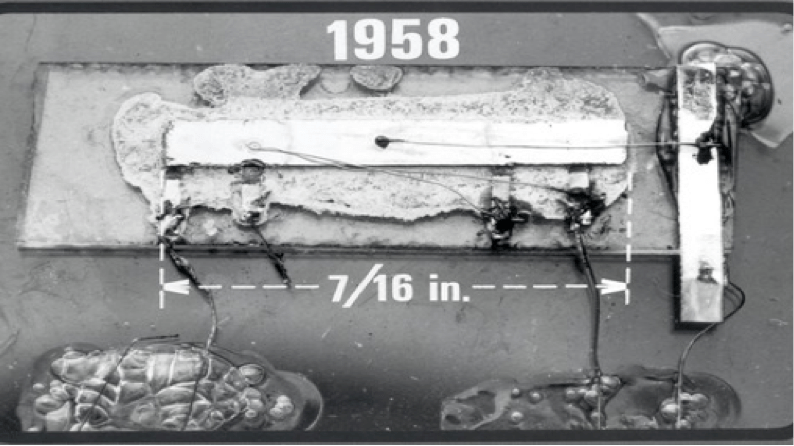 It had two transistors (the more, the better) with a “gate process length” (the smaller, the better) of about ½ inch. This scientist would go on to win the Nobel Prize. Now, fast forward 13 years. 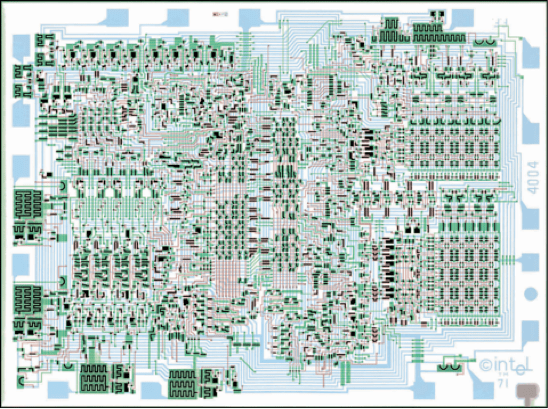 In 1971, Intel came out with its first commercial product, a 4-bit CPU called the Intel 4004 integrated circuit. The 4004 had 2,300 transistors with a gate length of 10,000 nanometers, and computer power of about 740 KHz. By this time, each transistor cost about $1, on average. In 2012, Nvidia released a new graphical processor unit (GPU) with 7.1 billion transistors, a gate length of 28 nanometers, and processing power of 7GHz. In just 40 years, the technology experienced a 100 billion-fold improvement, right on schedule for Moore’s Law. 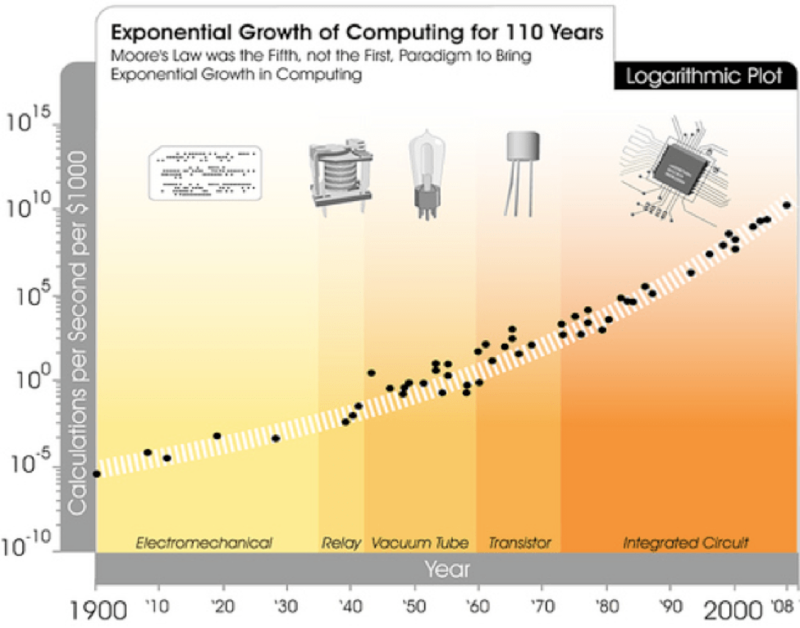 But Moore’s Law only describes the latest period (the 5th paradigm) of computational exponential growth. Moore’s Law (the 5th paradigm of computation) is therefore a subset of a much broader exponential principle described by Kurzweil’s Law of Accelerating Returns. It’s important to note that Ray recently mentioned to me that the sixth paradigm – three-dimensional computing – is already underway. It is important to understand the underlying drivers for the Law of Accelerating Returns. Why is technology accelerating? As Ray references, “We won’t experience 100 years of progress in the 21st century — it will be more like 20,000 years of progress (at today’s rate)”. Evolution (biological or technological) results in a better next-generation product. That product is thereby a more effective and capable method, and is used in developing the next stage of evolutionary progress. It’s a positive feedback loop. Put differently, we are using faster tools to design and build faster tools. In biological evolution, the more advanced life form (think cellular) is able to gather energy and reproduce more effectively, and therefore outperforms and out-evolves other life forms. 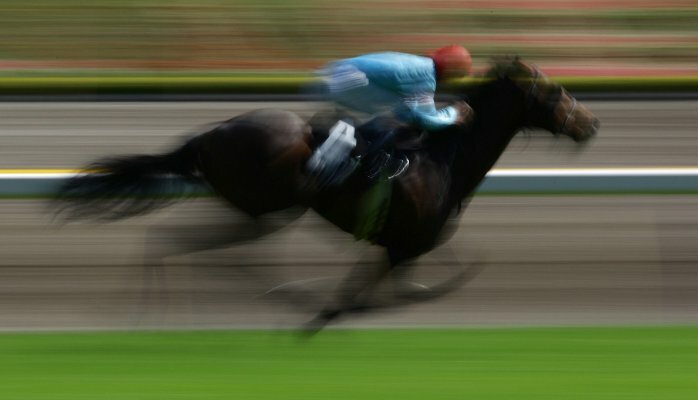 As a result, the rate of progress of an evolutionary process increases exponentially over time, and the “returns” such as speed, cost-effectiveness, or overall “power” also increase exponentially over time. As a particular evolutionary process (e.g., computation) becomes more effective (e.g., cost effective), greater resources are then deployed toward furthering the progress of that process. This results in a second level of exponential growth (i.e., the rate of exponential growth itself grows exponentially). Is Biology & Life Advancing Exponentially? To paraphrase Kurzweil… The Law of Accelerating Returns also explains exponential advancement of life (biology) on this planet. Looking at biological evolution on Earth, the first step was the emergence of DNA, which provided a digital method to record the results of evolutionary experiments. Then, the evolution of cells, tissues, organs and a multitude of species that ultimately combined rational thought with an opposable appendage (i.e., the thumb) caused a fundamental paradigm shift from biology to technology. The first technological steps – sharp edges, fire, the wheel – took tens of thousands of years. For people living in this era, there was little noticeable technological change in even a thousand years. By 1000 A.D., progress was much faster and a paradigm shift required only a century or two. In the 19th century, we saw more technological change than in the nine centuries preceding it. Then in the first 20 years of the 20th century, we saw more advancement than in all of the 19th century. Now, paradigm shifts occur in only a few years’ time. The World Wide Web did not exist in anything like its present form just a decade ago, and didn’t exist at all two decades before that. As these exponential developments continue, we will begin to unlock unfathomably productive capabilities and begin to understand how to solve the world’s most challenging problems. There has never been a more exciting time to be alive. Why technology is NOT accelerating. Well at least not as Mr. Diamandis thinks. It’s nice to look at the micro chip and think that all technologies work that way. But in order to understand the microchip, you have to understand that the microchip is a product technology not a production technology. Micro chips require a huge infrastructure to manufacture and each exponential decrease in size has had a corresponding increase, exponentially in size and cost of the production technologies required to manufacture the chips. Every reduction in transistor size is the result of tremendous efforts in optical and manipulator technologies to get the accuracy required. Much of that technology work happened literally little more than a stone’s throw from where I’m writing this right now. The fact is that Silicon Valley wouldn’t exist without Norwalk Valley technologies. I’ve posted about some of that here on the blog and I will have more as things go forward. Suffice to say that in order for a product technology to exist the producer technology has to come first. Producer technologies that have their own development and investment paths. It’s nice to talk about the future in nanotechnology, but the production tools for those technologies don’t exist. Getting those tools is going take investment and engineering, most likely being done for other things than making nanomachines. Just as the IC circuit is a result of the optical technology developed for the Norden bombsight. The problem is that the production technologies for IC’s have reached the point of diminishing returns. The First Perkin Elmer stepper was the size of a desk and cost maybe 1 million in today’s dollars. The steppers that ASML, Perkin Elmer’s successor are the size of small buildings and cost assembled and running in the billions. It’s likely that beyond 14nm isn’t going to happen simply because nobody would be able to afford the optics that are needed to do the job. That is if the optics can be done at all. Technology is not biology. It doesn’t happen because of a random series of chemical processes. Technology is the result of a growing knowledge base, creative people and access to funding. If you look at the history of the industrial revolution, for instance, it’s pretty obvious that it’s all about people doing stuff. People Brunel, Maudsley and Boulton for machine tools. This kind of thing happens time after time in technology. When looking at technologies it’s important to look at the producer tech and the people that develop it. and to understand the limitations of that tech. Producer technologies whether it’s a machine tool, stepper, casting technology or 3d printer is going to have limitations and those limitations are going to drive how people develop the products. Which is the important thing to remember. Technology is a people activity. Technologies do not just evolve by themselves, they are created by people to serve needs and improve some aspect of people’s lives.